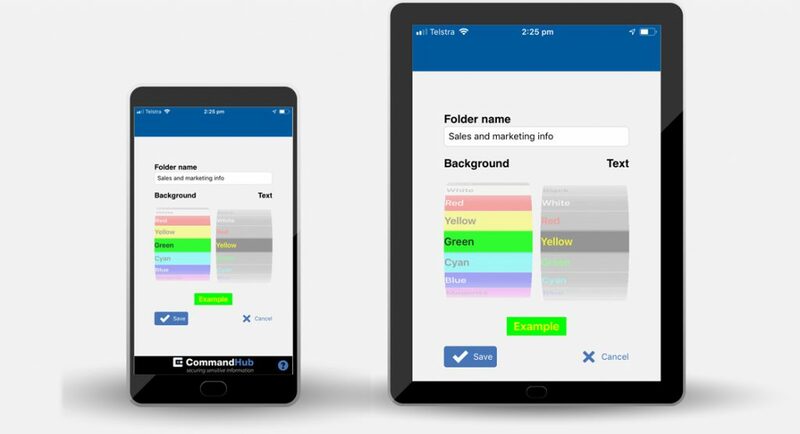 With CommandHub, you have the most secure work compartments available, hosted in an ultra-secure environment – but what if your contributors use mobile devices? How will you secure the collaboration process? 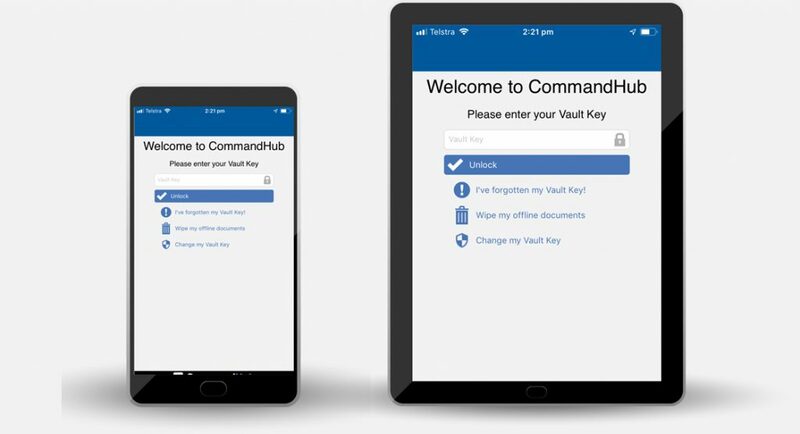 CommandHub addresses this with patented HubVault technology that secures access to, collaboration with and storage of sensitive information – on iOS, Android and Windows-based mobile devices, and Windows and MacOS PCs. With HubVault, your users won’t need to use vulnerable browsers or risk retaining material in a cache. 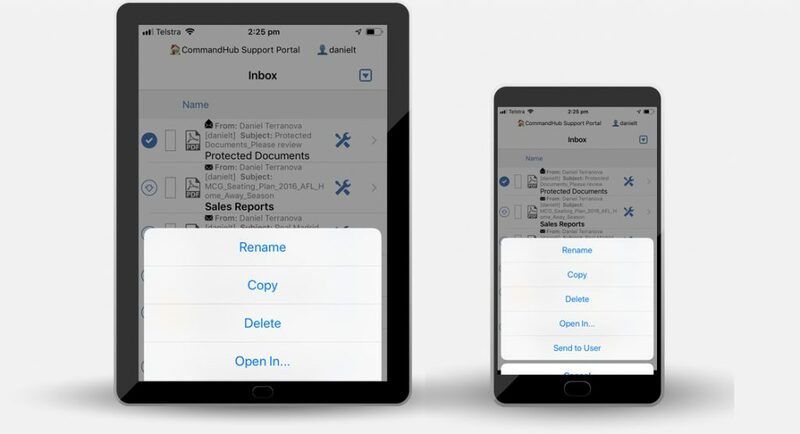 Using the HubVault App, they’ll access sensitive information via a multi-encrypted file transfer tunnel, save it to their devices and work with it, confident that the information and devices are secured. The CommandHub multi-encrypted approach also protects against MITM (man-in-the-middle) interception. Each saved file is encrypted with a unique key and then encrypted a second time with device-level encryption. This protects the file from forensic and other attacks, including to backup images. HubVault also destroys the data path and file vault, if access attempts fail. This means, if the device is mislaid, stolen or hacked, it will be effectively ‘uncrackable’ and your sensitive data will be protected. Most mobile device security relies on storing a key somewhere on the device, making it vulnerable. With patented HubVault, no component of the access key is kept on the device or anywhere. The user authentication and master encryption keys are derived from a user-entered vault key. As a result, your users can access and use sensitive information without risking key theft or data exposure, if remote file-wiping is deliberately disabled. 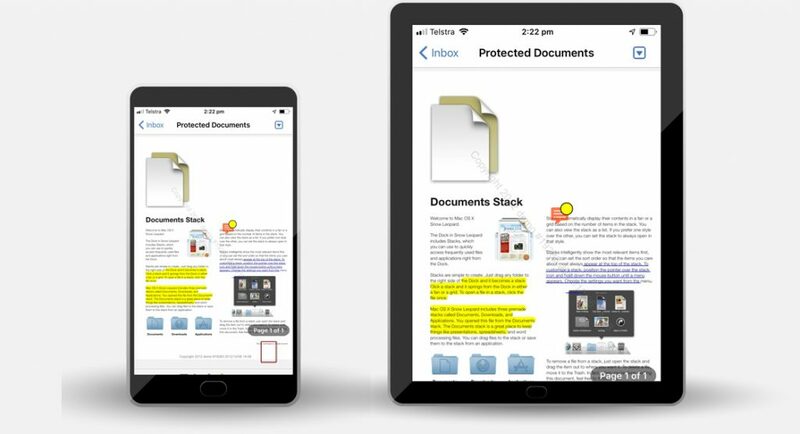 Viewing files on mobile devices is common practice – yet annotating them securely is far more difficult. HubVault makes it easy with an in-memory PDF editor, so your users can mark up their files without having them cached. 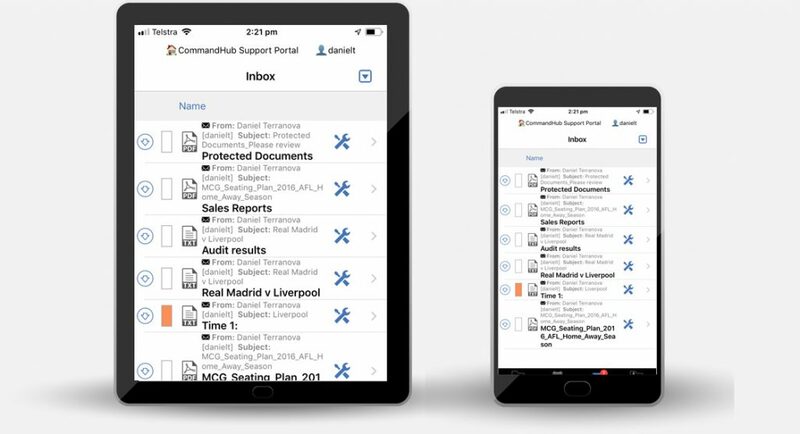 Using HubVault, your mobile users can be more productive without compromising your security. HubVault lets your users access and work on sensitive content offline, too. When connected, they can access and save files to their devices and then work on them offline. When connectivity is restored, the updated files will be synced and backed up automatically via double-encrypted file transfer, with no user effort required. With HubVault, each user can access a compartment that’s private to them and invisible to others. Here, they can secure personal material, create their own structures, import photos or notes, and automatically sync these files across multiple personal devices. It’s the ideal solution in a BYOD environment.